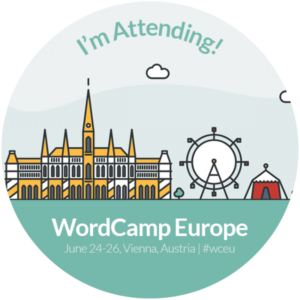 It has been more than a month that I am preparing for WordCamp Europe 2016. No, I did not get a speaker slot. As always, I am unlucky at WordCamp outside India. ? My wife wanted to visit Switzerland from long time so we are making it as a family trip of 15 days across France, Switzerland and Austria. My wife and son will be attending WordCamp Europe too. It will be their second WordCamp. They attended last WordCamp Mumbai (2016) but it was easy to manage thanks to help & support from all rtCampers. WordCamp Europe is making it easy to attend WordCamp with babies with their child-care facility. This backs my opinion that WordCamp is not just a software conference. Even though WordPress is a piece of software program, the WordPress ecosystem goes much beyond technology! May be this is a reason my wife is showing keen interest in getting involved in WordPress community. She already expressed her wish to volunteer for this year’s WordCamp Pune. Below is detailed day-by-day itinerary. We have many unplanned days which are awaiting your suggestions! Sun, 12 Jun – Pune to Paris flight (via Delhi). Reach Paris in the evening. Mon, 13 Jun – Eiffel Tower and Louvre Museum Paris. Tue, 14 Jun – unplanned day. Wed, 15 Jun – Paris to Lucerne (via Basel). TGV Lyria Trip. Wed, 15 Jun – unplanned evening in Lucerne. Thu, 16 Jun – Mt Pilatus excursion and Mt Rigi. Fri, 17 Jun – Mt Titlis excursion and Mt Stanserhorn. Sat, 18 Jun – unplanned day. Sun, 19 Jun – unplanned day. Mon, 20 Jun – unplanned day. Tue, 21 Jun – Lucerne – Zurich – Vienna train. Tue, 21 Jun – Reach Vienna by 9PM. Wed, 22 Jun –unplanned day. Thu, 23 Jun – unplanned day. Hoping for a post-status party. Fri, 24 Jun – WordCamp Europe – Day 1. Sat, 25 Jun WordCamp Europe – Day 2. Sun, 26 Jun WordCamp Europe – Contributor Day. Leave Vienna. Mon, 27 Jun – Reach Delhi, catch connecting flight to Pune. If you are coming to WordCamp Europe, we can catchup there. As it will be biggest WordCamp with 2200+ attendees, it will be difficult to find each other. As usual, I will be in rtCamp T-shirt. I am glad that rtCamp’s T-shirt is not black or gray which is common color for most corporate goodies! Rest, you can tweet me @rahul286 during event. This reminds me about getting an European mobile SIM card with decent data plan. If you have any suggestions, please let me know. In US, LycaMobile works best for me. So see ya at Eiffel Tower/Swiss Alps/WordCamp Europe! ? Great choice in cities – Lucerne is gorgeous. I’m here with my wife for a month currently and you just don’t get over how pretty it is. If you haven’t already it’s worth looking into the Swiss travel pass. It gives you unlimited travel on all Swiss transport (busses, trains, boats, etc) for a certain number of days and would probably be worth it for the excursions you listed there. As you are already there, can you please tell me if its better idea to buy excursion pass/ticket online or it’s fine to buy on the spot? I am not sure about exact excursions list. I will need luck with weather and baby’s health also. If either creates issue, we may not be able to go to mountains. So I am planning to get Swiss travel pass only now and buy excursions ticket on spot. Make sure you hit up the city wall and take some time to walk around the lake. There’s a sunset bar at Hotel Seeburg that’s particularly relaxing. Our plan is quite unpredictable. So I will buy only Swiss travel pass today. I am from Switzerland (but quite “far” from Lucerne, in Geneva French-speaking part of Switzerland), and I’ll attend #WCEU too! Sorry you didn’t get to be a speaker this time. I’ll buy one myself for Austria. Looking forward to see you and your wife and kid among the 2200+ other attendees! Thanks for your wonderful comment and SIM card links. A day-trip from Lucerne to Montreux is on card. Mostly for Golden Pass train and visit to Chillon Castle. I will DM you on twitter if I visit Montreux which I think is very close to Geneva. About transport strike – does it affect all trains? I am planning to use public transport only. So this is a big concern. basically, the Euro 2016 (Eurofoot, see https://en.wikipedia.org/wiki/UEFA_Euro_2016 for detailed schedule) is hosted by France and strikers want to create problems with transports, but the SNCF (French Railways) said, in the last link above, that they want to avoid strikes at all costs as they sponsor the event! I will see you at WCEU. Montreux is 100km from Geneva, but I’ll be very busy with kids/family activities before to leave to Vienna. I will go through car rental services. Just in case if I need to book one. I regret also that you didn’t get a speaker slot at this WordCamp.. They definitly miss a great guy 🙂 – I hope that we both will meet once, – I am hopeful! Sorry for delayed reply. I checked my blog today after long time. I will be attending next WordCamp Europe (2017) and also next WordCamp US (2016). So if you are attending any of these, we can catch up! That looks like a pretty interesting, and long, itinerary! 🙂 Have fun at WordCamp and throughout the rest of your trip! That resembles a truly intriguing, and long, schedule! ? Have fun at WordCamp and all through whatever is left of your outing!